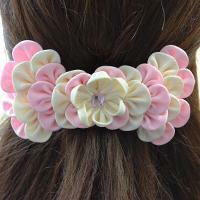 Summary: Do you need a beautiful headband for your wedding? 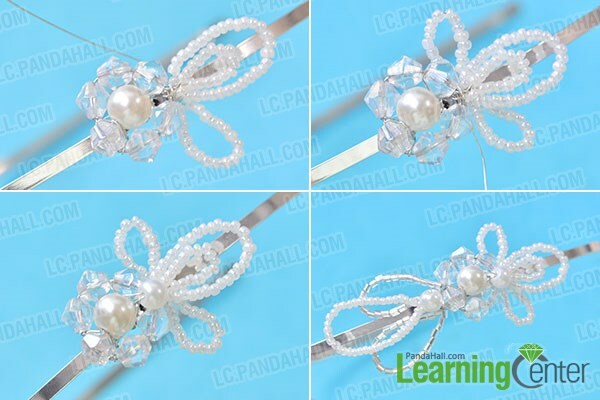 Then you should check this Pandahall tutorial on how to make a white pearl wedding headband with glass and seed beads. 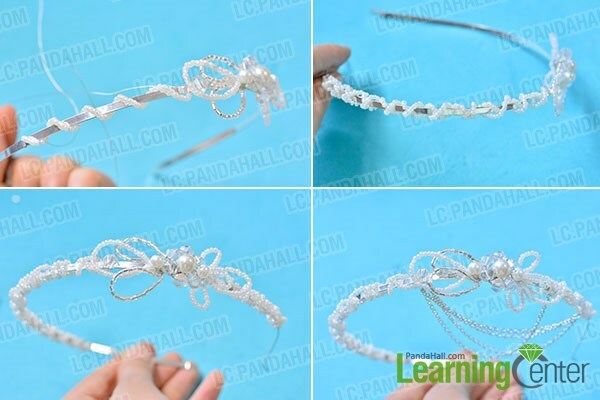 We have shared you many hair jewelry tutorials in this website and now I am going to show you a beautiful white headband for wedding. Are you interested in it? 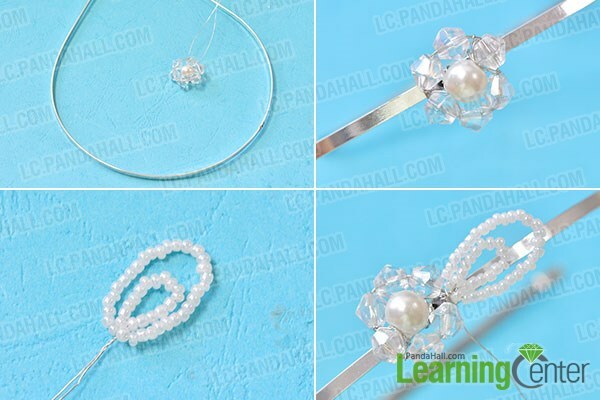 Then let’s see the details on how to make a white pearl wedding headband with glass and seed beads. 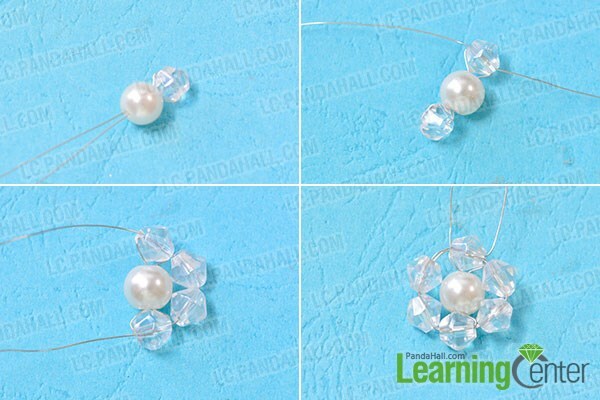 4th, add another two glass beads to the wire and cross the two wires through the top glass bead. 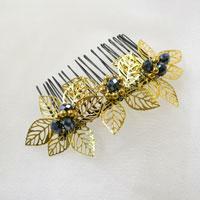 3rd, wrap the seed beads pattern onto the right side of the flower beaded part. 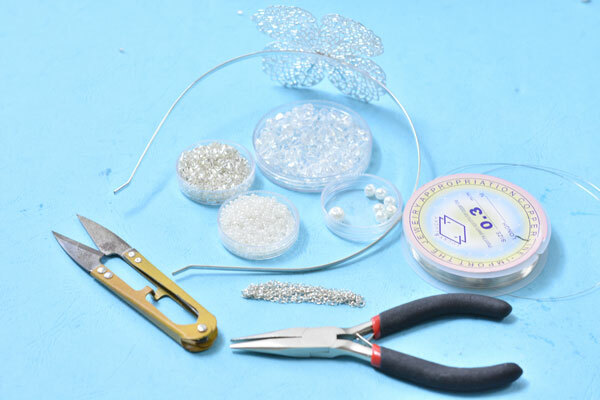 3rd, make a 2mm white seed beads strand and a 2~3x2mm clear bulge beads strand with copper wire, then slide a 6mm pearl bead onto the wire and wrap the patterns onto the left side. 3rd, cut off four pieces of cross chains and add them onto the hair band with jump rings. 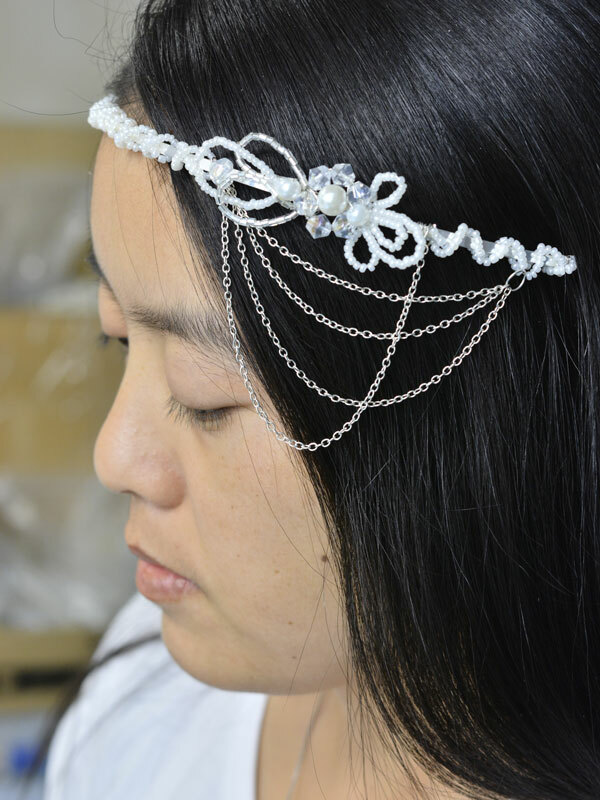 See, a beautiful white pearl wedding headband has been finished within four steps, amazing, right? You can consider trying it if you are going to marry and it is also a fantastic present for your friend to match her wedding dress. Take an action as soon as possible.